The Press of Robert LoMascolo: Mark your Calendars for April 22nd . . .
Mark your Calendars for April 22nd . . . Rob has been asked to give a lecture for the Skaneateles Historical Society on April 22nd at 7:30pm. 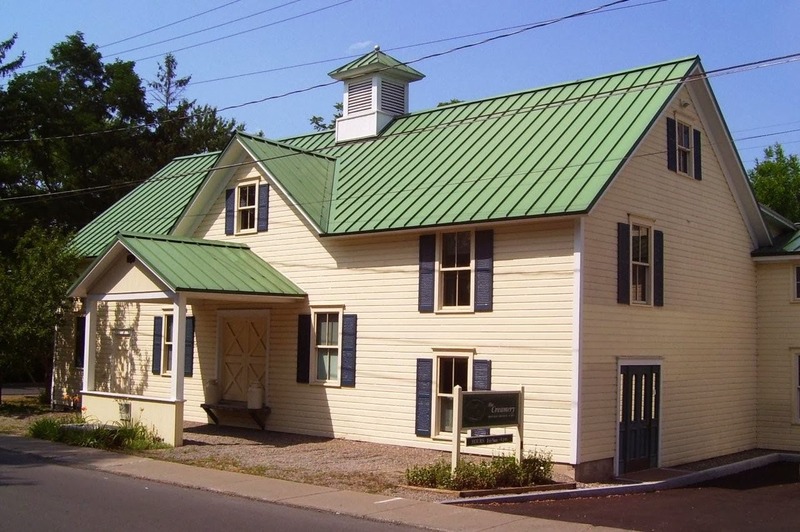 For more information contact the Historical Society, 28 Hannum Street, Skaneateles, New York, (315) 685-1360. Skaneateles is a beautiful historic lake town, and the home of The Press & Letterfoundry of Michael & Winifred Bixler! Nearly every town once had a resident letterpress printer. The best known of these early printers in this country is surely Benjamin Franklin. but did you ever wonder what this traditional craft of printing entailed? Today the very word “printer” might bring up images of a mysterious plastic box able to instantly dispense color photographs or documents at a moment’s beckoning, but how did printing start? 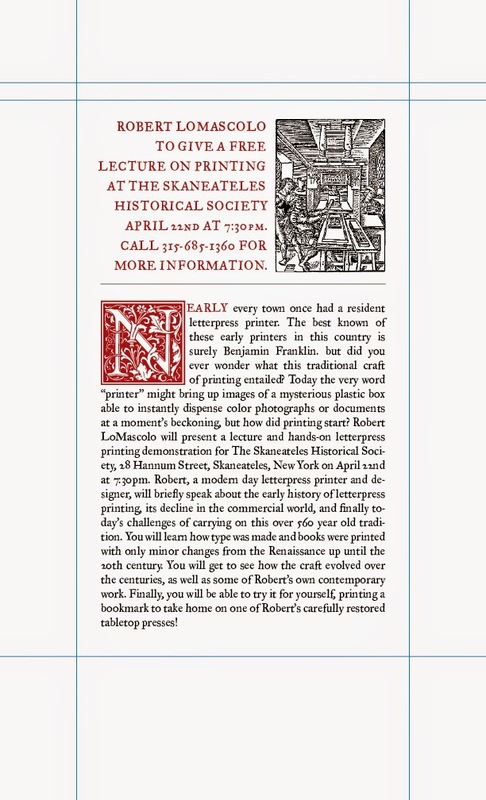 Robert LoMascolo will present a lecture and hands-on letterpress printing demonstration for The Skaneateles Historical Society on April 22nd at 7:30pm. Robert, a modern day letterpress printer and designer, will briefly speak about the early history of letterpress printing, its decline in the commercial world, and finally today’s challenges of carrying on this over 560 year old tradition. You will learn how type was made and books were printed with only minor changes from the Renaissance up until the 20th century. You will get to see how the craft evolved over the centuries, as well as some of Robert’s own contemporary work. Finally, you will be able to try it for yourself, printing a bookmark to take home on one of Robert’s carefully restored tabletop presses!